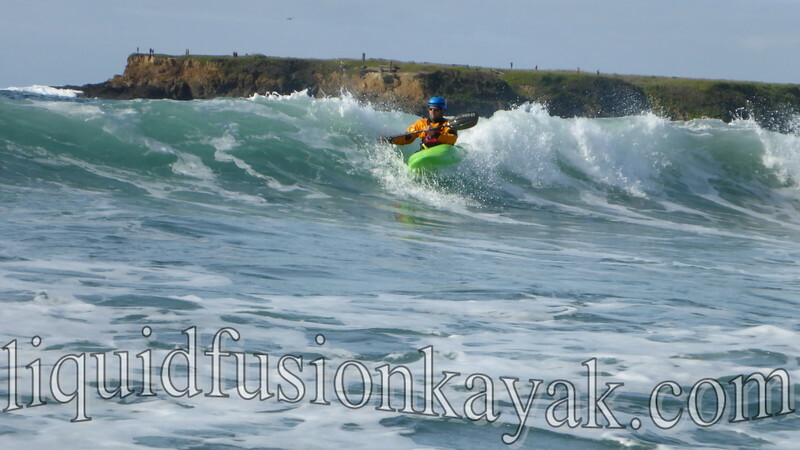 We kicked off 2015 with our annual Mendocino Whitewater n Surf Safari. 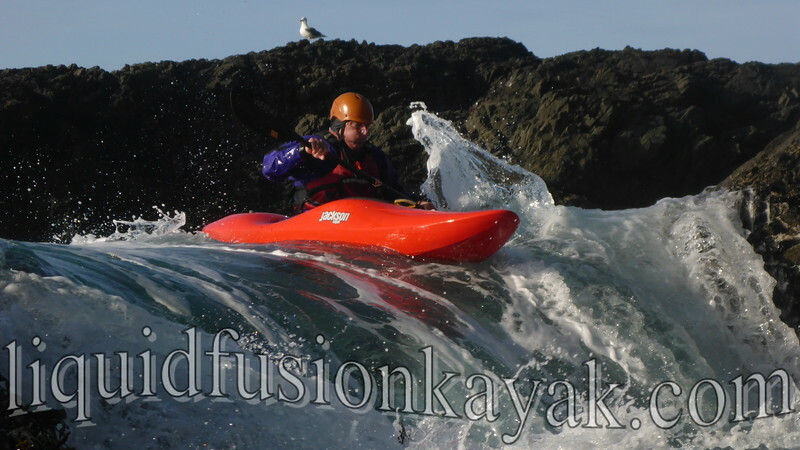 The goal of the Safari is Triffecta of funness - a whitewater river kayak run, surf kayaking, and ocean rock gardening all within Mendocino County. Buya! We did it!!! 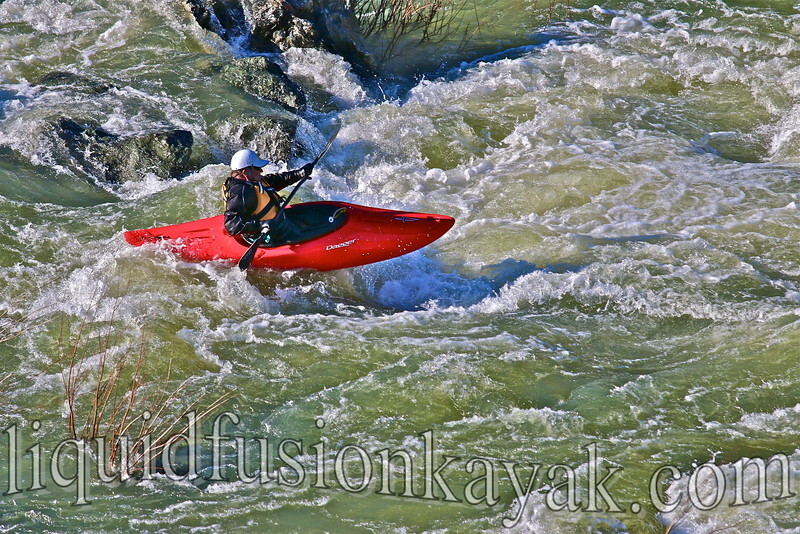 The kayakers with us were stoked to get in a run on the Eel River. It was a first for all of them. 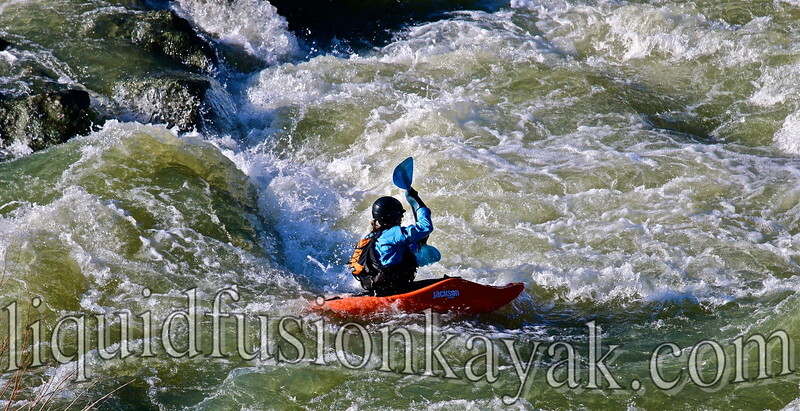 The low flow was friendly and fun. 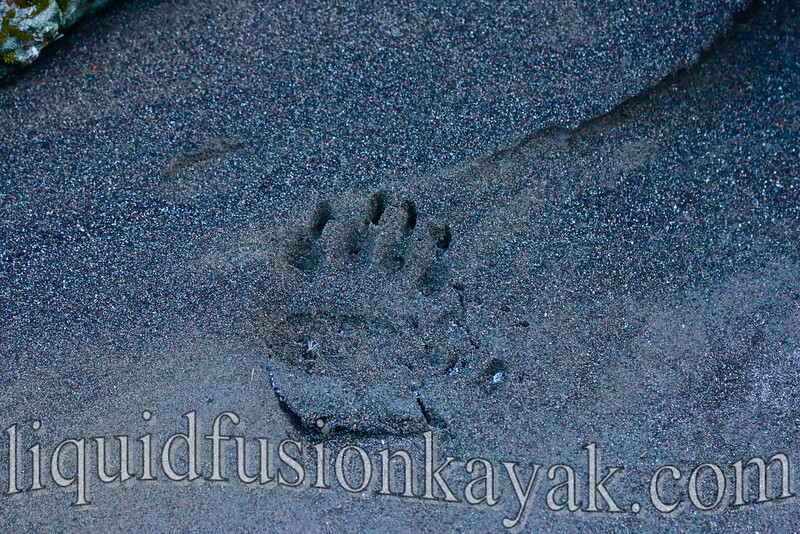 We didn't see the bear but definitely saw its tracks along the river. Bear Tracks on the Eel River. Photo by Mark Boyd. 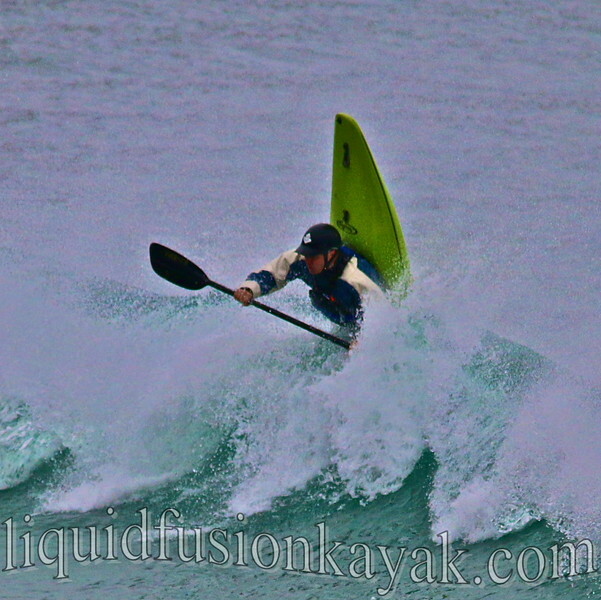 After a fun day on the river, we migrated to the coast for 2 days of surfing and rock gardening. 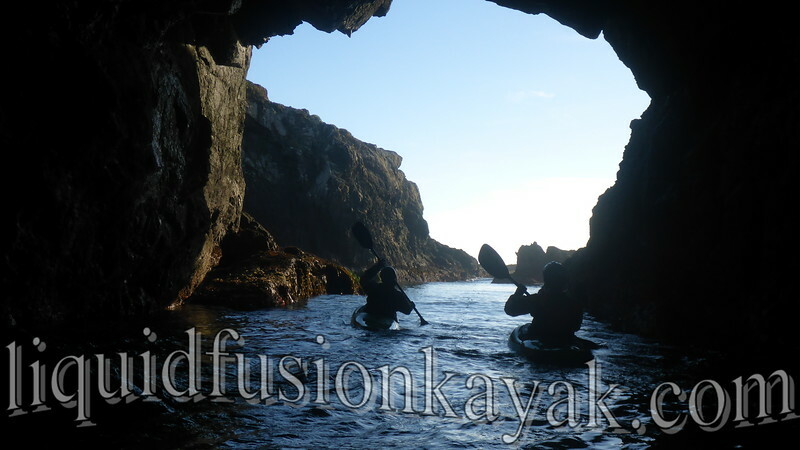 Ocean conditions were mellow giving us fun waves to surf and allowing us to explore sea caves. 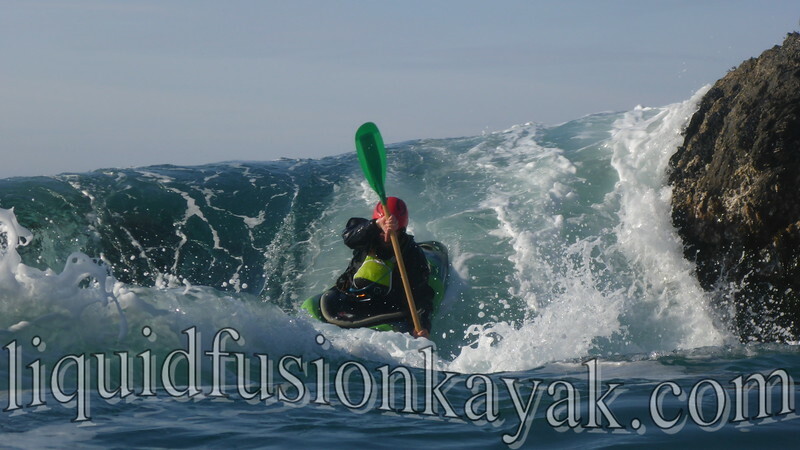 On our second day on the ocean, the swell picked up a bit giving us some more excitement in the surf and rock gardens. We managed to find a couple of really fun pour-overs to play on. Everyone got great rides and enjoyed the sunshine. John gets a nice pour-over ride! Jeff and I have decided that this is our favorite event . 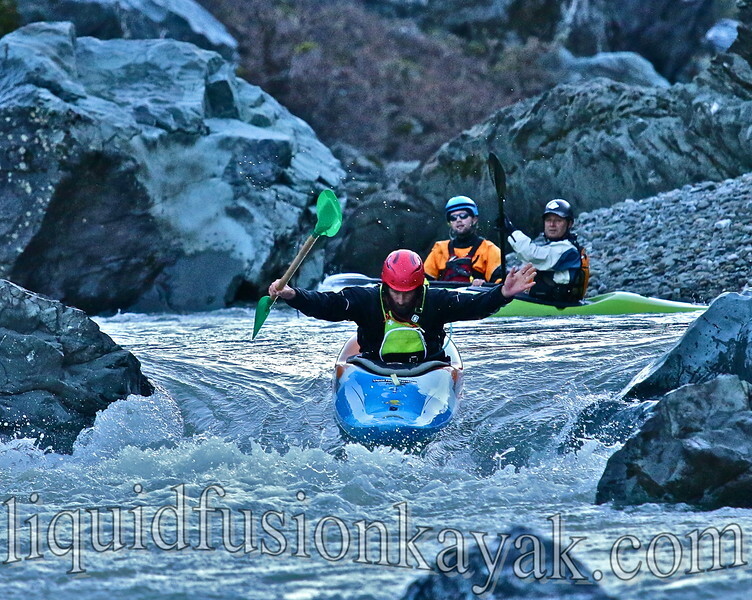 . . it combines 3 of our favorite things - whitewater river kayaking, surf kayaking, and ocean rock gardening. 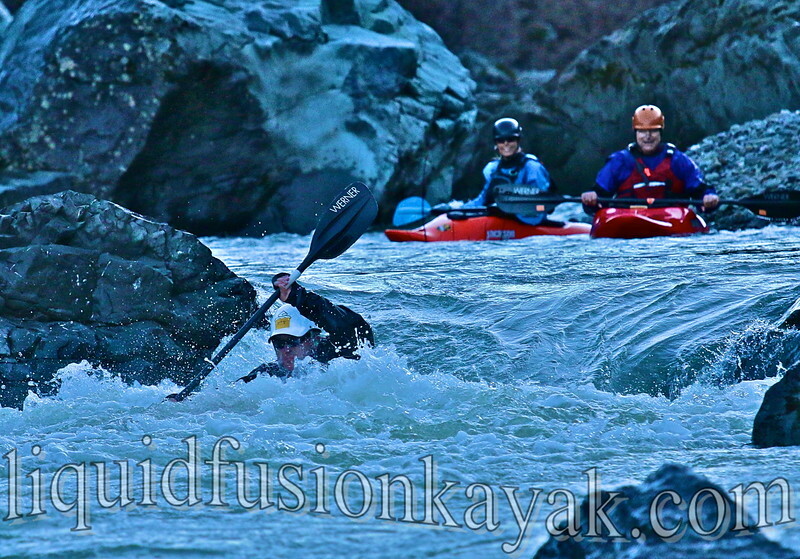 We had a waiting list for our January event so we have decided to do it again President's Day Weekend - February 14-16, 2015. Here's a link to more information. It's going to be FUN!!! Call us early if you want to come play!! !